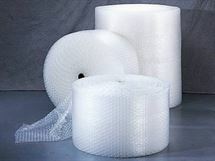 Bubble protective packaging and foam packaging dispensers are designed to provide you with years of maintenance-free operation. Our dispensers and cutters smoothly dispense many types of bubble and foam packaging. Portable Packaging Dispenser: This versatile unit is easily moved from location to location on sturdy, heavy duty casters. Wheel locks assure stability. Fast, easy, sure dispensing and cutting of packing materials up to 7/8” in 24”, 36”, 48”, 60” or 72” widths in rolls up to 40” diameter. Constructed of heavy duty, tubular steel, it holds one or more rolls of material. A spring tension hold-down device with clips to prevent roll backs. 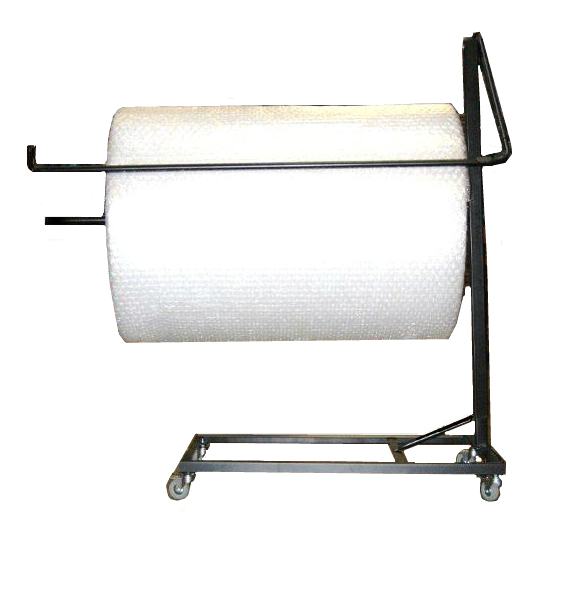 This dispenser can also hold several rolls of varying thickness. 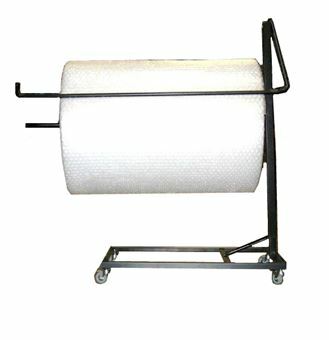 Roll Width : 60" - 72"